You will need insect removal in Wilmslow to deal with the problem of an insect infestation.Pro Kill Environmental and their team are experts in the field, and they have an answer to your problem. A quick answer, paired with efficiency and safety is needed to ensure a long-term resolution. The type of intruder can be any of a number of insects. 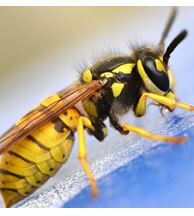 Whether it is wasps, fleas, cockroaches, bedbugs, moths or even the everyday ant in Wilmslow, insect removal will terminate the problem and prevent a reoccurring problem. However, to ensure a good outcome, it has to be done correctly. Pro Kill Environmental pride themselves in handling your problems – whether a domestic problem or regular services to commercial clients – in a safe and professional way. They can claim this after being in the business for 25 years . The company and its staff adhere to Health and Safety training and requirements. Pest control and pesticide usage can be a risky business and the laws regarding it are always must be taken into account. Pro Kill Environmental does all this and they have a wide range of services that speaks of their vision to help their clients with their current pest problem. Insect removal in Wilmslow, when done by Pro Kill Environmental, will deal with your problem right away. If you need assistance with insect removal, contact Pro Kill Environmental. Their process consists of a thorough investigation of the problem on site, after which action plans are put into place, as well as preventative measures for the future. A quote is free of charge and they are easily contacted by phone or online, with their systems geared to give you same-day service if possible. Don’t get trapped with the problem, as there is an effortless solution available at an affordable rate. This entry was posted in Pest Control and tagged Insect Removal in Wilmslow, Wilmslow Insect Removal. Bookmark the permalink.